If there is a city in India where traditional heritage merges with the contemporary, the city of Kolkata is it. Nostalgia seeps from every alley and suffuses the classic old trams, the yellow taxis, and the iconic Howrah Bridge. Even the bars of Park Street have a classic West Bengali air to them. In this city that saw the dawn of the Indian cultural renaissance a century ago, modern artists, writers, filmmakers, and performers still use Kolkata to hone their crafts and launch their careers. At the same time, India’s third largest metropolis and the capital of West Bengal is also a city of contrasts — between glistening new malls and wrenching poverty. 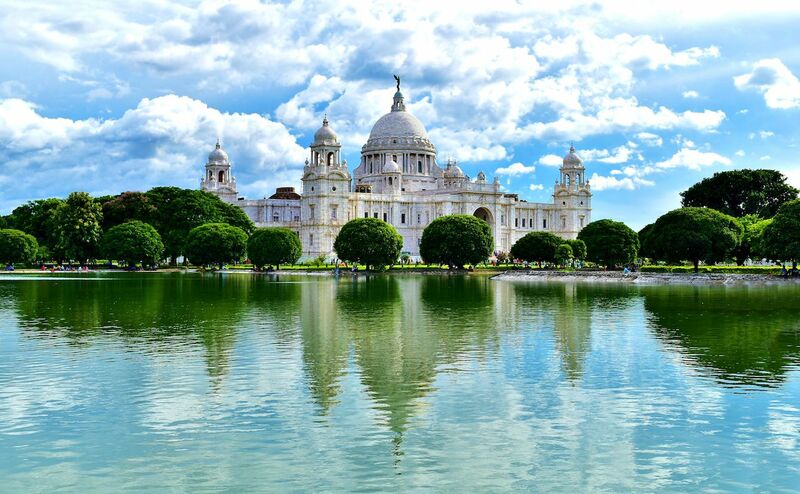 Here is why Kolkata — with its symphony of colors and sounds, mashup of history and modernity, and blend of India’s many religions and cultures — offers the ultimate view into West Bengal society. 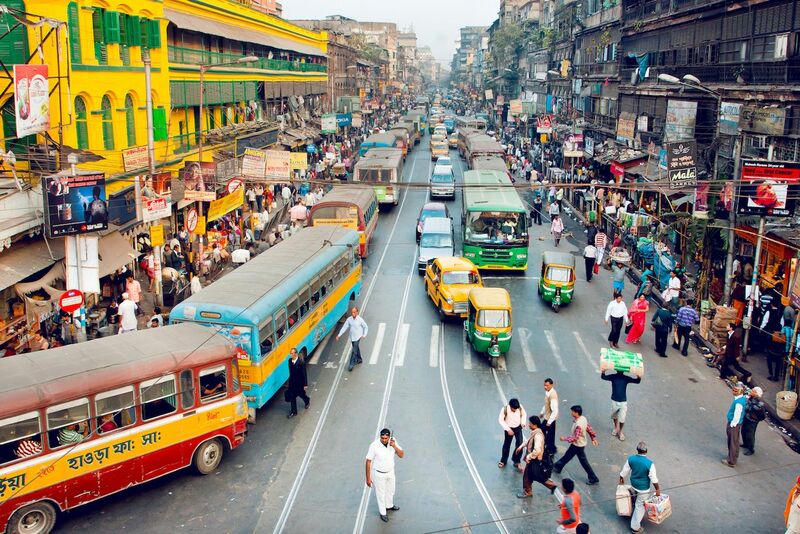 The oldest road in Kolkata dates back centuries. Centered on the east bank of the Hooghly River, an arm of the holy Ganges, Kolkata’s name is thought to derive from the Bengali Kolikata. Kolikata was one of the three villages that predated the arrival of the British and is often translated as “the field of goddess Kali.” The presence of the goddess is felt all over the city, but it’s in the southern Kalighat Kali temple that thousands of devotees pray every day. Kolkata’s oldest path, Chitpur Road, leads the way to the famous temple, and you can still walk along it to see how some of its streets are still centered around specific trades or crafts — from wood carving to candy making. Throughout the Age of Exploration from the 15th to 17th century, India was subjected to European colonial rule. The British Raj, when Great Britain ruled the entire Indian subcontinent, lasted from 1858 to 1947 — but the British East India Company had arrived 250 years earlier in 1612. In 1772, the East India Company made Kolkata, which they called Calcutta, the capital of British India, and it remained the capital until 1911. Reminders of India’s colonial past abound. Although India gained independence on August 15, 1947, Kolkata’s buildings are a constant reminder of the country’s colonial past. The white-marbled Victoria Memorial is the most grandiose example. Built in commemoration of Queen Victoria, it holds a visual display of the colonial-era history and is surrounded by a collection of large and serene gardens. A walk through the city could also lead you to the nearby St. Paul’s Cathedral, the Central Post Office, or the Writers’ Building, each a chapter in Kolkata’s storied history. If contemporary history interests you most, prepare to find hammer-and-sickle motifs drawn into walls all around the city. Kolkata is still the capital of the state of West Bengal, and from 1977 to 2011, West Bengal was the home of the world’s longest-serving, democratically elected communist government. You can find a reminder of this time near the Esplanade bus station where a statue of Lenin still surprises unexpecting pedestrians. Also, Kolkata was the first Indian city to get a metro line, which was designed by Soviet specialists back in 1971. Kolkata was the birthplace of India’s modern cultural renaissance. The then-capital was the birthplace of the cultural renaissance that in the mid-19th century spread throughout India. The main exponent of it was Rabindranath Tagore, who in 1913 became the first non-European to receive the Nobel Prize for Literature. To get to know his thoughts, pay a visit to the museum at Jorasanko Thakurbari Bari or make the trip out to Shantiniketan, a town in rural West Bengal where he founded an experimental school. 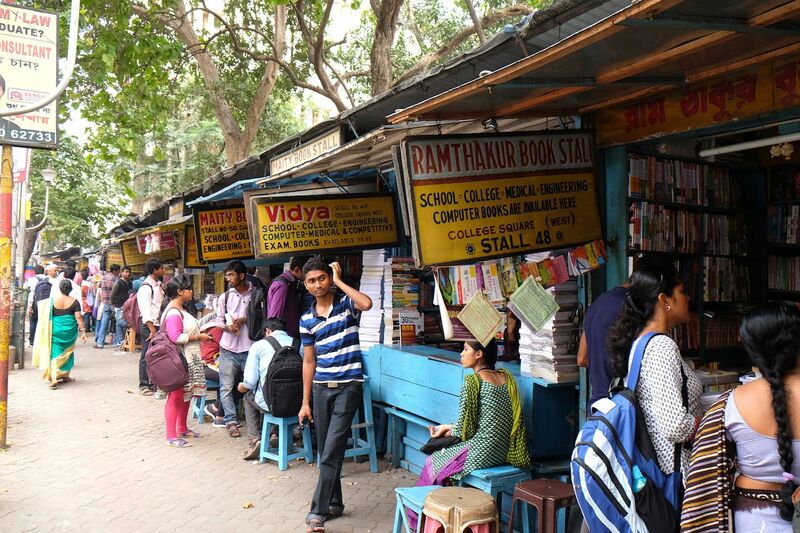 To grasp a sense of the city’s strong cultural beat, take the tram to College Street, considered the largest second-hand book market in the world. It’s said that if you can’t find a book here, it probably never existed. A few steps away from the Presidency University you will run into the Indian Coffee House, also called the College Street Coffee House, a longtime meeting point for the city’s scholars, artists, and writers. Legendary film directors Satyajit Ray and Mrinal Sen were some of those who spend long hours of discussions there. Today it’s still a hangout for college students who very well may become India’s next great thinkers and creators. West Bengal is a land of festivals, and Kolkata is a city of religions. They say that in West Bengal there are 13 festivals in 12 months. Even though all religions are celebrated with equal enthusiasm and passion, Kolkata transforms into the most colorful and chaotic city during the Hindu festival of Durga Puja. 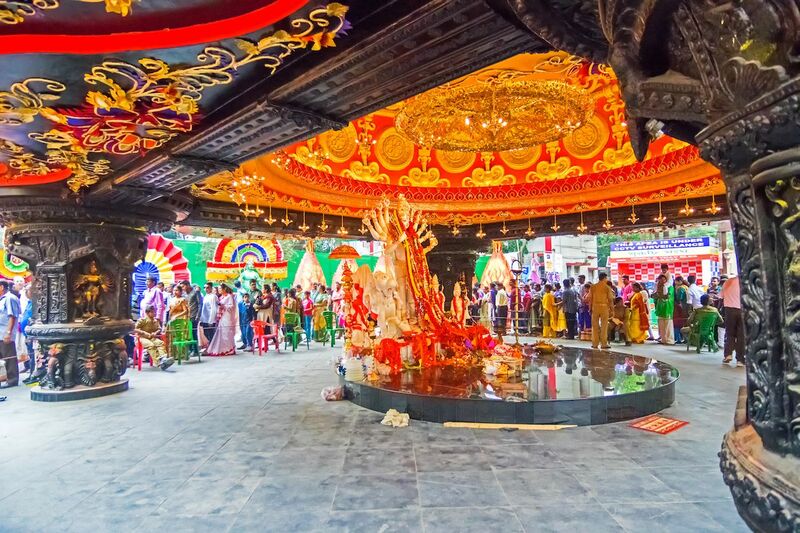 For five days in September or October, locals celebrate the victory of good over evil and pay their respects to idols of the 10-armed goddess Durga, which are displayed in a series of beautifully decorated scenarios. If you want to see how the statues are created, walk around the traditional potters’ area of Kumortuli. Once the festival comes to an end, make your way down to the Hooghly River where the Durga idols are thrown into the sacred waters. Wandering the streets of Kolkata is a reminder that, no matter the time of year, this is a city of religions. The Magen David Synagogue, the Armenian Church, and the Nakhoda Mosque are just minutes away from each other in the Barabazar area. To get the full experience of this side of the city, you can’t miss Mother Theresa’s Missionaries of Charity or Belur Math, the headquarters of the Ramakrishna Math and Mission. The historical sites shine, but the heart of Kolkata lies in its cuisine. A common phrase to describe someone of Bengail descent is mache bhate Bangali, which translates to “fish and rice is what makes a Bengali.” It’s no surprise then that traditional Indian eats can be found throughout the city. Rather than being served all at once, Bengalis prefer the multi-course tradition. Bitter preparations, leafy vegetables, lentils, a non-vegetarian curry, and chutney are displayed one by one before reaching a last sweet treat like the traditional Sandesh or rosogolla. When walking around Kolkata, you should also keep an eye open for street vendors who have a good line of ravenous diners waiting to purchase their preparations. Put your plans on hold and wait in that line. 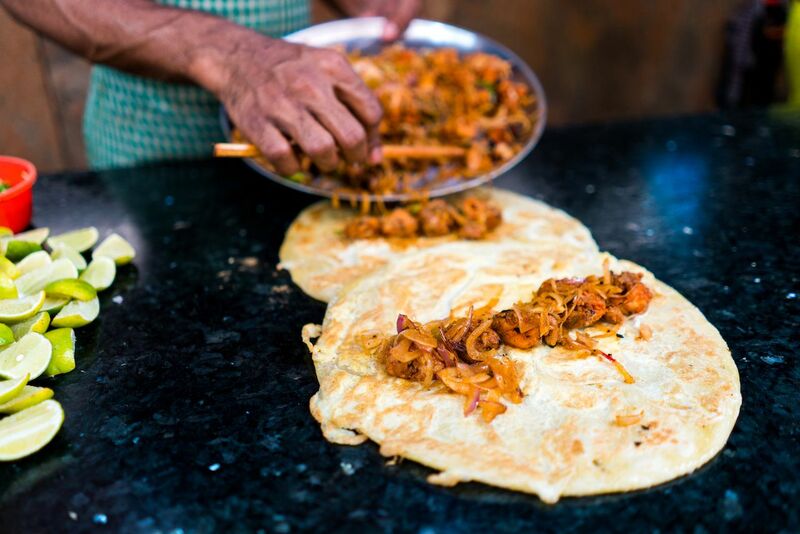 You’ll thank yourself once you get to the front as the city has built a reputation as one of the best destinations for street food in India. Phuchka is the city’s favorite dish, but there are plenty of Tibetan momos, egg rolls, and potato-filled singara for those who prefer less spicy options. 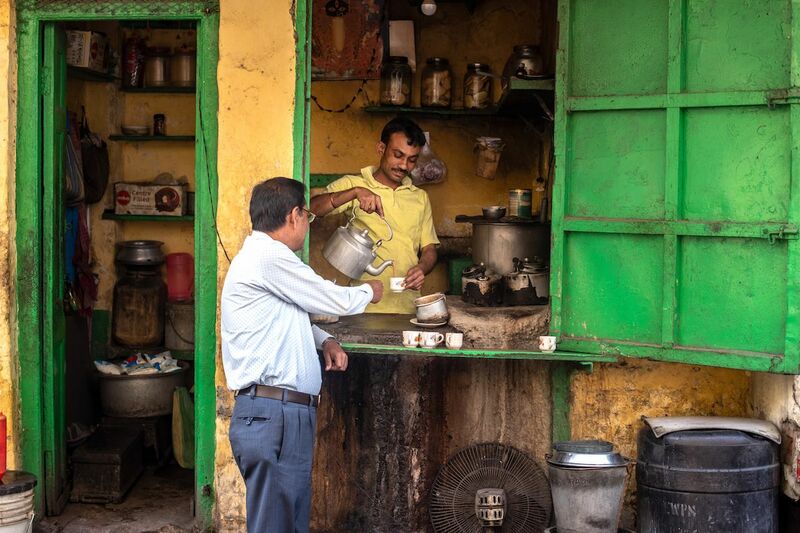 And whatever you do, don’t leave the city without trying a steaming clay cup of masala chai from a street vendor.